Home Dumps News What is the correct category of H13-311-ENU exam, HCNA-AI or HCIA-AI? 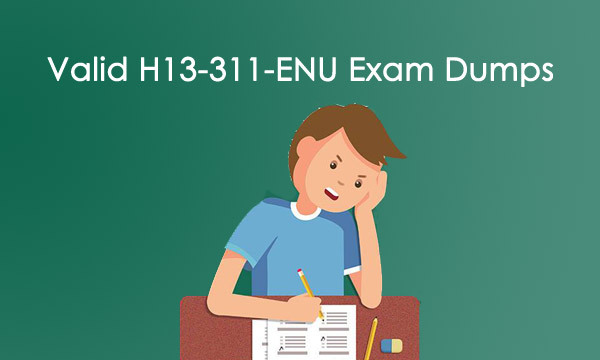 Most candidates were confused what is the correct category of H13-311-ENU exam? HCNA-AI or HCIA-AI? Actually, both HCNA-AI and HCIA-AI are the correct category for Huawei H13-311-ENU exam. Start on Jan. 2, 2019, Huawei upgrades its certification architecture and category to allow Huawei certification services to have the unified brand, follow the latest ICT technological trend, and meet the company's requirements on long-term strategic development. So you can find that HCNA-AI is the old category of H13-311-ENU exam, HCIA-AI is the new one. Huawei certification system starts to apply the new naming rules from January 2, 2019, and begin to issue certificates with new names from February 1, 2019. Huawei certification architecture upgrades from “ICT infrastructure certification", “ICT developer certification”and “ICT vertical certification” to “ICT infrastructure certification”, “Platform and service certification" and “ICT vertical certification". More, Huawei Certification categories upgrade from nine (HCNA, HCNP, HCIE, etc.) to three , namely HCIA, HCIP, and HCIE. H13-311-ENU exam is for Huawei HCIA-AI certification. HCIA-AI certification is intended to popularize AI and help understand Deep Learning and Huawei Cloud EI, and learn the basic capabilities of programming based on the TensorFlow framework, as a motive to promote talent training in the AI industry. If you hold Huawei HCIA-AI certification, you can prove that you systematically understand and grasp Python programming, essential mathematics knowledge in AI, basic programming methods using TensorFlow (a machine learning and Deep Learning framework), pre-knowledge and overview of Deep Learning, overview of Huawei cloud EI, basic programming for image recognition, speech recognition, and human-machine dialogue. Pass H13-311-ENU HCIA-AI(Huawei Certified ICT Associate-Artificial Intelligence) exam for HCIA-AI certification now. Master exam knowledge points can help you pass H13-311-ENU exam successfully. (6) Overview of Huawei cloud EI. The exam fee of H13-311-ENU HCIA-AI(Huawei Certified ICT Associate-Artificial Intelligence) is $200. You must want to pass your HCIA-AI H13-311-ENU exam successfully at your first try. However, how to pass H13-311-ENU exam at the first try? Most of the students want to give short time to their study and want to get good marks in exams therefore, we have a number of way, how to prepare and practice for exams in short time, through which the students will feel relax, cool mind and ready for exams without any tension. The latest version of 2019 HCIA-AI H13-311-ENU exam dumps provide with all the actual exam questions and accurate answers, you need to fully practice all H13-311-ENU exam questions to ensure that you can fully understand and master the knowledge points of H13-311-ENU HCIA-AI(Huawei Certified ICT Associate-Artificial Intelligence) exam. DumpsBase has put its full efforts with a consultation of experts to bring the high-quality H13-311-ENU exam questions that would produce desirable results with the first attempt.